A common concern for homeowners looking to remodel is selecting a remodeling contractor for my kitchen or bathroom. Finding the right remodeling professional doesn’t have to be difficult. Follow these guidelines to make an informed decision. Employ a NC licensed general contractor with an established business. Ask the contractor for a list of past customers; take time to check with at least a few of the references. 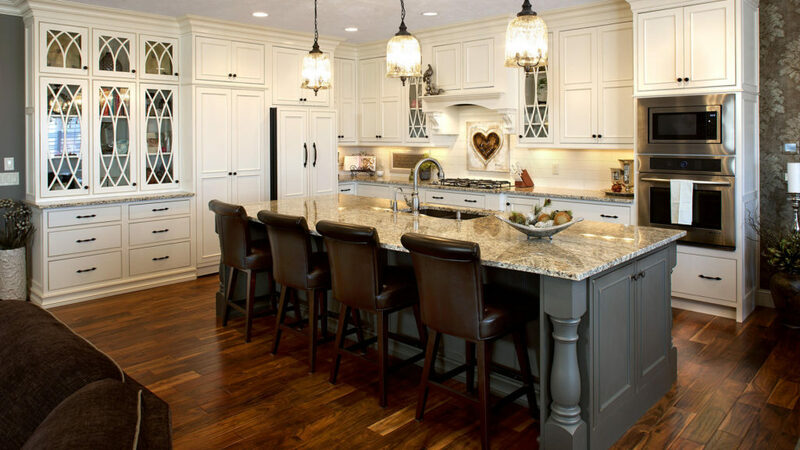 Look for a remodeling professional who is a member of one or more professional trade association such as the National Kitchen and Bath Association (NKBA) or National Association of the Remodeling Industry (NARI). If your home is built prior to 1978, make sure your contractor is a Certified Lead Renovator. Ask to see a copy of the contractor’s certificate of insurance. Check with their insurance agency to verify coverage. If you solicit bids from several different contractors, be sure they are bidding on the same scope and quality of work. Discuss variations in bids; beware of any bid substantially lower than the others. Don’t forget about design. Companies that offer design/build services, managing both design and construction, will save you money in the long run. A written contract is essential. It should include the contractor’s name, address, phone and license number as well as a full scope of work detail. Make sure financial terms are understood and spelled out in the contract. The total price, payment schedule and any cancellation penalty should be clear. For more tips and inspiration on remodeling your home give Revolution a call today at (336) 937-0727.